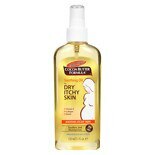 Shop Palmer's Cocoa Butter Formula for Dry, Itchy Skin Soothing Oil (5.1 oz. )5.1 oz. $679$6 and 79 cents$1.33 / oz.